Libertarians are often highly economic. Usually they are anyway. The left-sided libertarians believe in voluntary social benefit but that ultimately is created into a socialist regime to make the programs desired into a reality. That is a different article and I wrote about that here in regards to "Why Liberty-Based Socialism Cannot Exist". I'm going to be talking about your right-wing (heavily economic-based) libertarian approach. These types of people believe so heavily in laissez-faire capitalism that they choose to ignore pollution and the negatives that come with companies and their evils. This is not true. Of course in this instance, this is a bit of a hyper-exaggeration to make anarcho-capitalists and minarchists into insane psychopaths of individualism to oneself over other people. 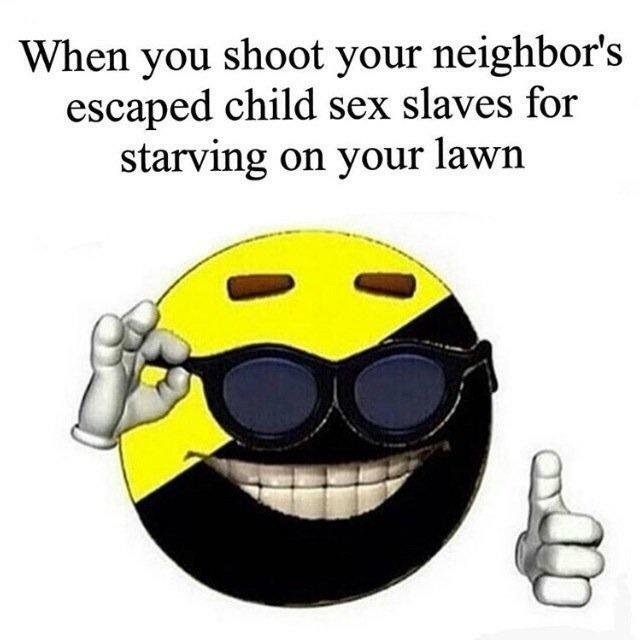 But non-aggression principle applies to all. This includes the children in the above meme you see. Now why do I tell you this now when we're talking about pollution? Everything really. A group of people can't simply pollute your area with their factory without you ending up responding with aggression. While a pollution does not make grounds for taking a gun to the owners of the factory, it does exist on a minarchist stance to take the matter to court. Most libertarians are not against the judicial system. Libertarians are only against a few laws that currently exist to bog down that system. But lets say you didn't even have courts. It wouldn't surprise me to see a group of people go to the factory and claim the damages that are made against the town, and the matter be settled among a small group of people. It may not be necessary to have a federal level blanket law against all factories because there may be an instance where it works in one town, and destroys another. It matters that people have the ability to communicate concern. In an age where you have corporations given the ability to silence people on their platform, it makes it very difficult if not impossible to speak against a company that has truly done wrong. You simply disappear on that said platform. That's why websites like this exist, allowing anyone to write about anything without risk of persecution. It used to be if a corporation did something wrong (I.E.. pollution) then the owners of that corporation can sweep it under the rug while paying off a local politician to make sure they keep getting their benefits to pollute something. These days it's a lot harder to do this. There are too many eyes and ears, and all it takes at the end of the day is a single passionate individual willing to write about it, talk about it, yell it in the streets, whatever necessary to get the word out so people boycott that institution and protest. To be clear, most factories have a vested interest to minimize pollution as much as possible because that equates to bad press otherwise. Like any company, they seek to satisfy as many people as possible to gain more money. 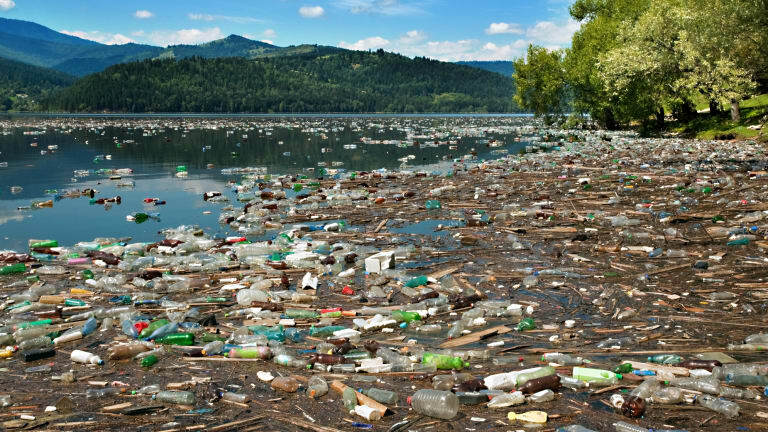 Most of our pollution doesn't, particularly trash in the ocean, come from our shores but from overseas where people can be silenced for speaking about these things. In the instances of a lot of laws concerning pollution, (not all) most libertarians would actually be for. One example of a law most libertarians would actually get behind is the need to have "no fishing" areas for breeding zones in water. Basically economically a fisherman will continue to fish until there is nothing left. The government did understand this and realize that the economy would effectively cannibalize itself in the effort to stay afloat. So to protect it from itself, there are often local laws that are created either by county or by state to block off certain areas and label them as "no fishing" zones. Topped with a few guards to make sure this law is enforced at that location, the economy stays safe while at the same time, keeping people's freedoms for the most part within reason. This is a very minimal law that changes everything and enters a minarchist's approval. Anarchists, I love you guys. I do. I just think it ends up becoming too theoretical and while I am not a big fan of state governments, I am a bigger fan of local governments for they have a higher understanding of their local situation, which can differ heavily from county to county. Pollution is a difficult subject to cover but I hope that this brings a bit of light into what someone like me, a minarchist, thinks about pollution control.